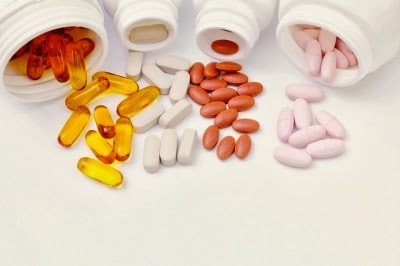 What supplements should you really take? The average consumer can easily get confused about vitamins, minerals and herbs. Most people believe that such substances can be beneficial, yet are not precisely sure about their own requirements. This is certainly understandable, since many health care professionals have little or no training with respect to supplements, and as a result are confused themselves. Firstly, vitamins constitute a wide variety of chemical compounds that are necessary for healthy living; many are in fact essential for life. They are usually found in organic sources such as plants and animal flesh. Insufficient amounts of any given vitamin usually results in some ailment or disease. For example, scurvy, which occurs as the result of an insufficient intake of ascorbic acid (vitamin C), is a disease characterized by hemorrhages in the mucus membranes (especially the mouth and lips), softening of the gums, extreme weakness and fatigue, anemia, and hardening of the leg muscles. This disease was common among sailors until it was discovered that the disease disappeared when they took lots of lemons and limes (both of which contain high levels of vitamin C) with them on long ocean voyages. Many vitamins are required in order to complete important chemical processes in the body. Other common vitamins include vitamins A, B complex, Biotin, Folic Acid, Pantothenic Acid, D, E and F.
Many minerals are also important for body development, maintenance and metabolism. Unlike many vitamins, these are inorganic substances and are usually found in the earth’s crust. As such, many are also present in plants and animal flesh. For example calcium is a metal abundant in limestone. Calcium is a very important mineral in the body. It is a major constituent of bone tissue and is a very important factor in blood coagulation. Serious calcium deficiencies will affect countless bodily functions. It is essential for life. Other essential minerals include chromium, copper, iron, magnesium, manganese, phosphorus, potassium, selenium, sodium and zinc. Herbs are plants, usually leafy ones without woody stems. They were the first medicinal products used by man, dating far back into pre-historic times. Almost every culture on every continent used medicinal herbs. They were an essential part of traditional Chinese medicine as well as Western folk medicine. Today, many plant extracts provide substances used in modern medicines. They are used in many varied drugs including those used to treat cancer and alleviate pain. Opiates and cocaine are made from plants. Morphine, the most powerful painkiller known to man, is an opiate made from the poppy plant. Herbal remedies can be potent and effective when used properly. Some examples of popular herbs are cayenne, lobelia, red raspberry leaf, ginger, golden seal, black cohosh, peppermint, licorice, ginseng, chamomile, turmeric, milk thistle boswellia, and echinacea. There are literally thousands of medicinal herbs. It should be remembered that vitamins, minerals and herbs cannot make up for the sins of a poor diet or unhealthy habits. A healthy diet, rich in fresh vegetables, fruits, fish, and lean meat is essential, as is regular exercise. Smoking, excessive alcohol, and improper rest puts tremendous strain on the body’s natural health mechanisms and such habits simply cannot be overcome by supplements. Given the choice between a healthy diet and dietary supplements, a healthy diet wins hands down. Far too many people are misled by the notion that supplements can make up for dietary wrongdoing. They can’t. Trying to decide what supplements to take can be challenging. A great deal of inaccurate information has been disseminated about vitamins, minerals and herbs. These products are also subject to fad and fashion. A good multivitamin/mineral supplement is a sure bet for most people. There is also evidence to support additional supplementation with vitamin D, magnesium, coQ10, and fish oils. A few diseases preclude the use of certain products, especially herbs.